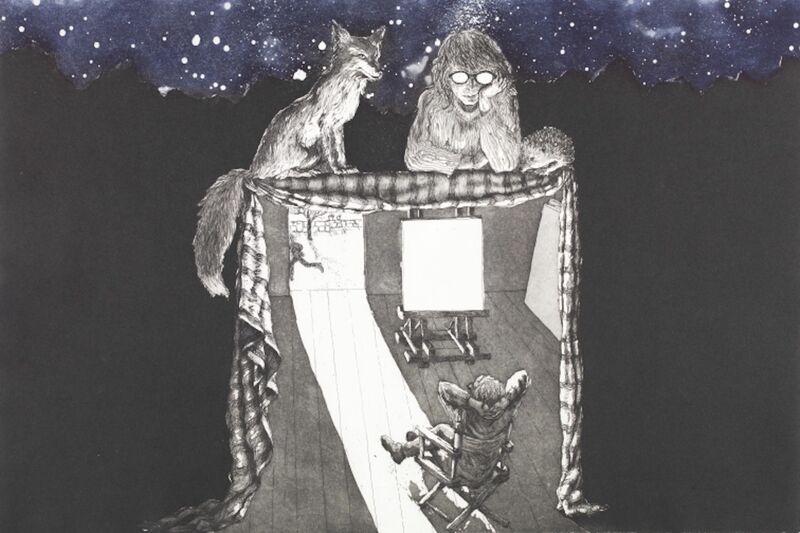 Kristin Headlam’s exhibition The universe looks down derives from a University commission of a suite of etchings by Kristin in response to the long narrative poem of the same name by eminent Australian poet Chris Wallace-Crabbe. As part of this major commission, the University Library acquired the sketchbooks, preliminary drawings and watercolours which evidence the conceptual development of the 64 etchings in the completed suite. These exploratory images, as well as the completed fine prints give a rare glimpse into the creative process Kristin entered into to complete this unique collaboration.